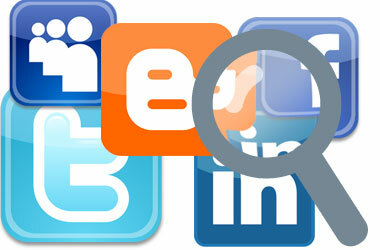 Social Media, Networking Role in a Personal Injury Law Suit? Kahler Personal Injury Lawyers > Blog > Car Accident Injury > What role does social networking play in a personal injury law suit? Can my Facebook page be used against me? Social networking sites include sites such as Facebook, Twitter and Instagram. These sites capture snapshots of an individual’s daily social activities. Each entry offers a glimpse into an individual’s life. The owner of the account has some degree of control over what gets posted about him or her, but friends and acquaintances can also post information or pictures on one’s site. Social networking is a relatively new phenomenon, but courts have already heard a number of cases regarding the validity and admissibility of evidence obtained from social networking sites. In personal injury cases, the admissibility of pictures and information obtained from social networking sites can potentially serve to destroy a party’s credibility. During Examination for Discoveries plaintiffs and defendants will be asked whether they have a Facebook account and any other social networking site, and will likely be asked to preserve their accounts as they exist on the day of questioning. This means that an account must not be deleted nor can any pre-existing posts or pictures be deleted. The court will cast a wide net as to what a party has to produce to the opposing side, but only evidence that is relevant to the allegations made in the pleadings will be admissible in court. For example, if a plaintiff is claiming that an injury has resulted in a loss of enjoyment of life, vacation pictures taken after the injury has occurred, where the plaintiff is shown enjoying life, can be damaging to that head of damage. Individuals would do well to be extremely mindful of what they post online when involved in a lawsuit. They should ask themselves how what they are about to post could be perceived. Pictures could easily be taken out of context and run the risk of contradicting evidence given by the parties. A picture only captures a snapshot of what is happening and does not record the aftermath of any activity. The simplest solution might be to abandon social media sites during the course of the litigation.